Copyright Notice: © 2018 Coolabi Productions Limited, Smallfilms Limited and Peter Firmin. 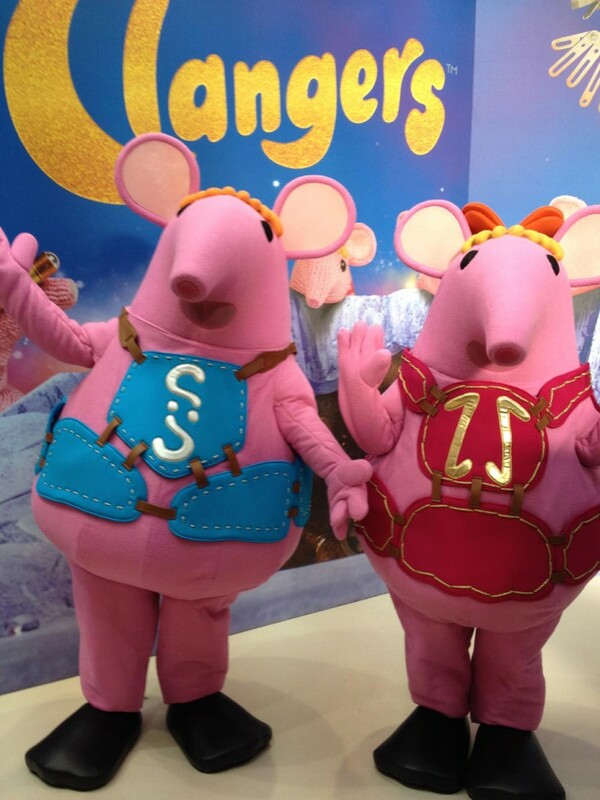 These are the official Clangers – Small and Tiny licensed characters, Clangers – Small and Tiny. 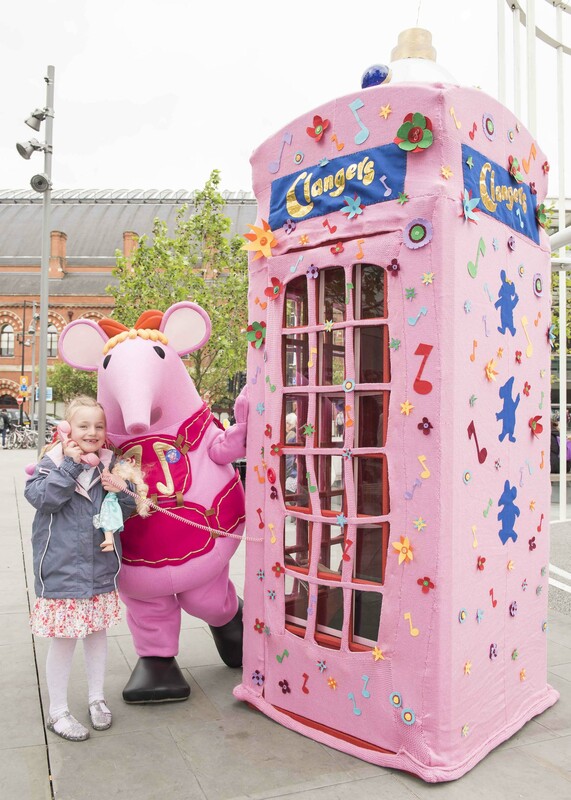 Rainbow Productions holds the UK’s official licence to manage the personal appearances of the Clangers at public events on behalf of the brand owner. The Clangers television show was originally aired in the UK between 1969 and 1972. In 2015 the show returns: a new stop-motion animation series is due to air on CBeebies in early 2015. The new series will retain many recognisable characteristics from the original series, including the Clangers’ unique whistle-speak, characters such as the Soup Dragon and the setting on a planet in space. UK personal appearances of Small and Tiny – the children of Mother and Major Clanger – are available to book exclusively through Rainbow Productions. Who is Small? He’s the most adventurous of the family. He is practical, determined and curious which, despite his best intentions, sometimes leads to an element of chaos amongst the Clangers. Who is Tiny? As well as being Small’s younger sister, traits include her being musical, artistic and instinctive. She is also a loyal friend with a kind and gentle nature. Peter Firmin (the original designer and BAFTA Children’s Special Award Winner 2014) and Dan Postgate (son of co-creator Oliver Postgate) and are both contributors to the new series. Michael Palin narrates the new UK series. The new series comprises 52 x 11 minute stop-motion animation episodes. Music and sound is an integral part of the show. Core themes in the new series: Community (kindness, warmth, teamwork); Wonder (resourcefulness); Inventive (curiosity & discovery) and Surreal (funny & creative). The Clangers is involved with the Innocent Big Knit Activity, which is a campaign between the Innocent Drinks brand and Age UK charity. Character costumes Small and Tiny are available to book to attend and make appearances at UK events.